We already heard that Qualcomm’s(s qcom) Toq smartwatch would be available around December 2, but it’s possible some could wear one before then. The Toq is now available to pre-order for $349 directly from Qualcomm in black, and there’s mention of a white edition coming soon as well. Qualcomm says the watch orders will be delivered in one to three weeks. At $349, I don’t expect the Toq to compete with more readily available, less expensive alternatives. You can buy two Pebble smartwatches and still have $50 left over, for example. 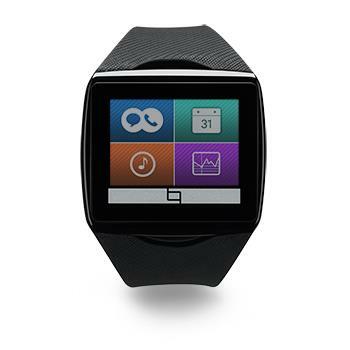 But Qualcomm isn’t looking to get a Toq on every wrist; at least not directly. The hope here is that with a limited production run, Qualcomm can show device makers how Mirasol technology can benefit future devices. That doesn’t mean the watch is a beta product, however. Your $349 gets a fully functional Android-compatible(s goog) smartwatch for text, email and incoming call notifications. And it comes with an integrated wireless charger, which just happens to be built on Qualcomm’s tech as well. 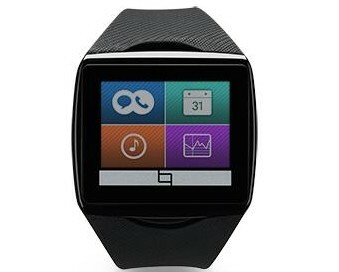 One other SmartWatch to launch this week is the Z-Watch from SmartQ Devices — SmartQ won a distinguished 2013 CTIA E-Tech Award for the world’s first tablet with a built in DLP projector and now offers an innovative smartwatch that compares to Sony’s Smart Watch 2 and the Galaxy Smart watch ($200-$300) but is priced about the same as the Pebble Watch($150). The new Smart Q Z-Watch has one of the highest screen resolutions and largest battery capacities available (300 mAh), runs on Android O/S and works to sync with phones with Android 4.0 and higher, and features an energy efficient processor running at a full 1GHz (Sony & Pebble Watch in comparison run at less than 200 MHz).